7-10pm, Ceasar’s Palace Hotel and Casino. WARRIORS - As human beings, we get to face fresh challenges every day of our life. Sometimes, these challenges can be exciting. Other times, they could be unpleasant. However, our success in life is a summation of the number of these daily battles we win. Thus, we must continually be hungry to face and conquer every battle that comes our way. 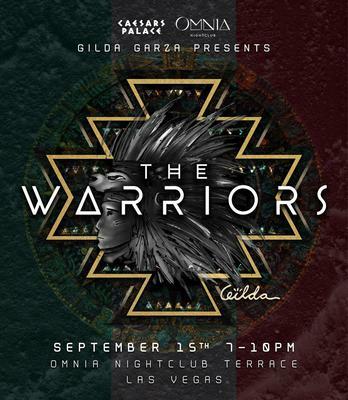 This is the idea behind Gilda's upcoming exhibition show “The Warrior”, on September 15 (The day before Mexico Independence Day), at Caesars Palace in Las Vegas. Gilda Garza is a Mexican artist born in Sinaloa, Mexico. The artists collection was inspired by strong, sensual and elegant women who with only one look can manage to have the world at their feet. They not only posses radiant beauty, but also keen intelligence and a big heart. Living on one of the most dangerous places in Mexico surrounded by war, suffered kidnappings in her family, Having gone through a tragic break up in her life, her paintings began to transmit all of her raw emotions.